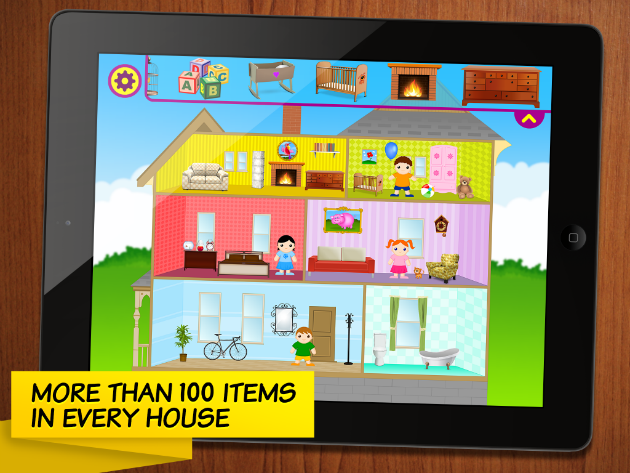 If your child likes to play with dolls’ houses this is a perfect application for it. 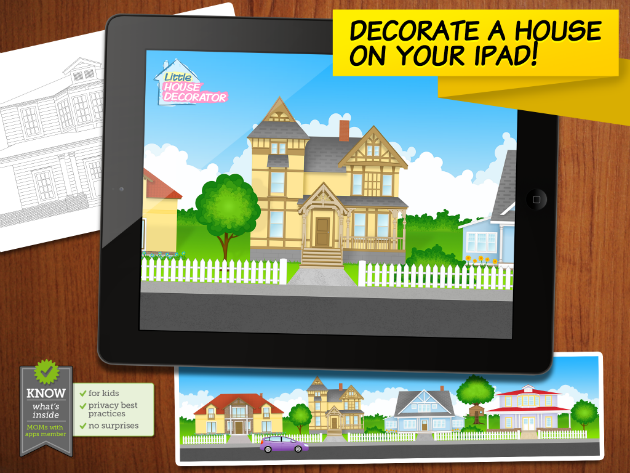 Select one house that you want to decorate or decorate the entire neighborhood. Choose the furniture and decorations to be placed in your house. Select characters that have to live at home. 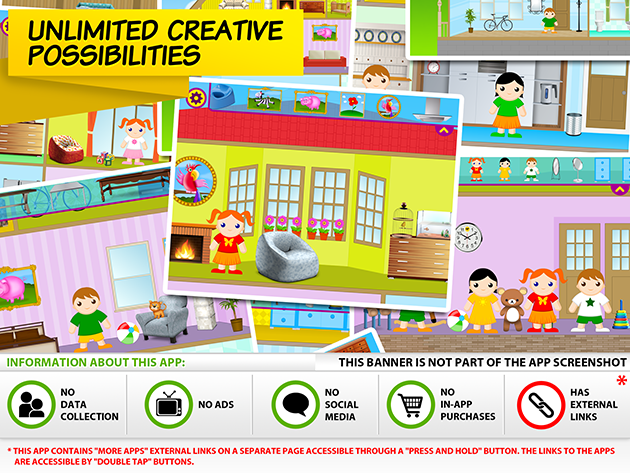 See how much fun for your child will provide Little House Decorator. 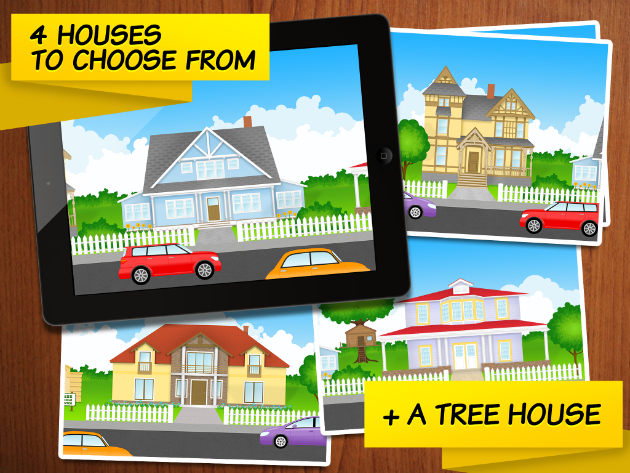 Four houses (+ a tree house) to choose from. More than 100 different furniture and decoration in each house.